Hi there! I’m Amanda, a 20-something Virginia native on the adventure of a lifetime. Five years ago, I met my husband at a debate tournament in college. I never could have guessed that he would later become my husband and carry me off to the distant and foreign lands of Florida, Texas, and now Okinawa. 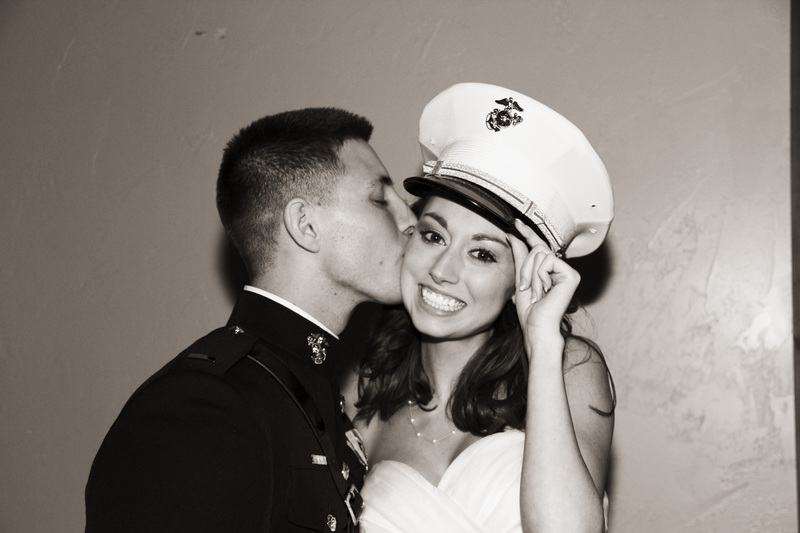 I knew that marrying a Marine Corps pilot would change the course of my life, but I was not sure how I would reconcile the life I had fallen into with the one I had always planned for myself. While today there is not much I can say that I have figured out, I can tell you about where I am, how I got here, and what that has meant to me. In short, I am a lucky girl, figuring things out in paradise with the love of my life. This is my story, as I live it. Road Trip Postmark. We at Buoyed Up (buoyed-up.com) and A Cup of Beans (acupofbeans.wordpress.com) are exited to see where your adventure takes you! BZ. 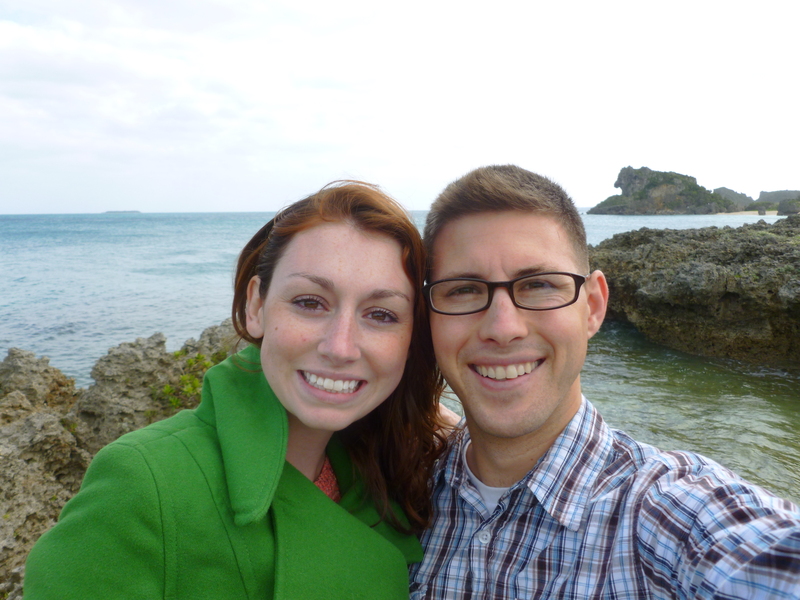 I am a Marine Corps Officer who recently discovered that I am going to Okinawa for my first tour. – Our baby (she is due in August) will get poisoned and die from something. – How do phones work? Do they have Verizon, Sprint etc.? Im trying to be as positive as possible but any illumination you can offer on the subjects would help greatly! Thank you in advance. Chris, we were in exactly the same situation a year and a half ago, and I had basically the same concerns. However, we have come to love Okinawa to the point where I’m actually dreading leaving. To respond to your wife’s fears: (1) There are a few pretty terrifying spiders here, however we only see them when we go hiking in areas far north or south of where we live. Our apartment is so bug secure that I’ve only had 2 tiny regular spiders and a few gnats get in the house in 1.5 years. Also, even the worst bugs won’t kill you. (2) Okinawa is probably the safest place in the world to raise a child. I am surrounded by beautiful, healthy babies who are cherished by the locals off base (blonde babies are seen as good luck! ), and part of a tight-knit community on base. (3) we adjusted fairly quickly to life here- it is basically like Hawaii. Very Americanized Japanese island culture. Things are much slower here, but you get used to it. Check out some of my early blog posts to get a feel for how we adjusted. (4) We have iPhones here on Japanese plans (SoftBank or AU). I iMessage and FaceTime my family for free. Feel free to email me at lovewhereyouland(at)gmail.com. I think you’re in for a fantastic adventure!